Blond high fermentation beer, re-fermented in the bottle. The selection of yeasts and a long aging time with hops gives this beer flavor and a characteristic and complex taste. 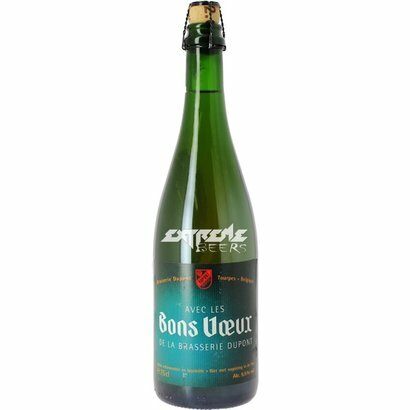 Avec Les Bons Voeux (Bons Voeux means "Best Wishes") is a blond high fermentation beer, re-fermented in the bottle. Founded in 1970, this beer was offered earlier this year to the most loyal customers of the brewery (hence the name "With the best wishes of the brewery Dupont"). The success this beer earned lead to it being made commercially, while retaining its original name. Although very popular, it was brewed in limited quantities, the bottles reserved many months in advance. A coppery blond beer with aromas of hops combining a mellow bitterness and fruity taste. 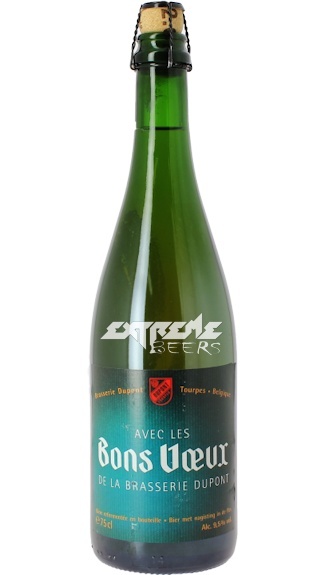 The selection of yeasts and a long aging time with hops gives this beer flavor and a characteristic and complex taste.